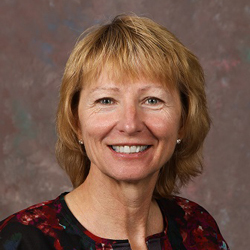 You’ve been at the Foundation for 25 years – SMIF’s longest-tenured employee! What led you to the Foundation, and what different roles have you had? My husband and I had owned and operated weekly newspapers in North Dakota, and before that, I’d worked for Hennepin County for a couple years right out of college. When we had the kids, we wanted them to be plugged in to Minnesota schools, and also closer to family (we’re both from the Blooming Prairie area). This was just going to be a temporary thing, and here we are! When I started, I had no idea what a foundation was, what the difference between a nonprofit and a for-profit was. I started as a temp employee and I had no idea what I was getting myself into. There were just a few people working here then. When you first started, what was it like at the Foundation when it was only five years old? The Foundation was very familial, since it was so small. The Board was extremely involved, since many of the founding members were still on the Board and they were the ones hiring staff. I also remember it being pretty quiet – we weren’t hosting all the events like we do now, not as many people in and out. Since we were all basically learning on the job, we attended a lot of trainings. How has your role at SMIF evolved? I started out doing general office work along with managing our database. Because of my newspaper background, I also started the newsletter and developed the first fact sheets. Soon after that I started working in the Loan Department and eventually took that over. Years later I moved into the grants area. Then our grants program started to focus in on our early childhood work, and now, I’m the Vice President of Early Childhood Education. What is the same? What has changed? At the Foundation? In the Region? The economy still wasn’t good. The farm economy was just starting to come back. There just weren’t jobs. It was real quiet. Linda, the first President, was on the road a lot trying to raise money and awareness for the Foundation. I remember when we received one of our initial large investments from Viracon. That was huge. I remember people started screaming with excitement. It was fun! I’ve worked in housing, workforce, community success – I really value that we had our hands in all these different things. We always dabbled in early childhood stuff, but not deeply. The hard part about EC is making people understand the importance of why we do this work, and the importance of brain development. It’s not just a warm, fuzzy “nice thing to do.” That was a big hurdle to get over. The Foundation also really gained a stronger reputation. In those early years, people in Owatonna didn’t even know about us. We were pretty focused on fundraising in the early days. Again, it was pretty familial and scrappy – we even had to all take turns vacuuming the office. What has been a big turning point or challenge? I’ve seen all the gains we’ve made in early childhood, and all the national and state agencies and organizations that really want to meet with us as a statewide group, and so I think our alignment with what’s happening in the larger context of early childhood is pretty significant. I think the decision to focus in on that as a critical point of investment was a good decision, but I also know that the Foundation has evolved to fill a wide range of needs and will continue to do so. Was there a memorable moment of encouragement or inspiration? Moving into this building was really exciting – we had an open house with tents set outside, food and lots of people. I also remember the first time we had Coughlan Companies donate Capstone books and how the Coughlan family all came. We had a huge celebration for our first BookStart book giveaway – a little fair in our yard! Bill Coughlan's passion and love for the program was really inspiring to see. What’s an example of something really unique that SMIF accomplished while you were there that has had a lasting impact? The community coalitions we started to raise awareness on various issues, from early childhood or entrepreneurship, just keep going. Some of them have been operating for 10 years, due to the people and their passion behind these issues. You know, we did just a little bit, that initial training, helping them with a strategic plan, or giving them grant funds – empowering people is more important than a lot of things. What do you think is a strength of the MIF model? 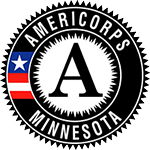 They were established to be flexible and allow people to make change in their community. Also, the relationships the MIFs have with each other; it’s a great, respectful learning community. We have demonstrated the ability to come together and make something a common core issue that we can work together to really make change. What makes your job meaningful/rewarding? The people. You really get to know people and become friends with them...it’s a truly collaborative network. 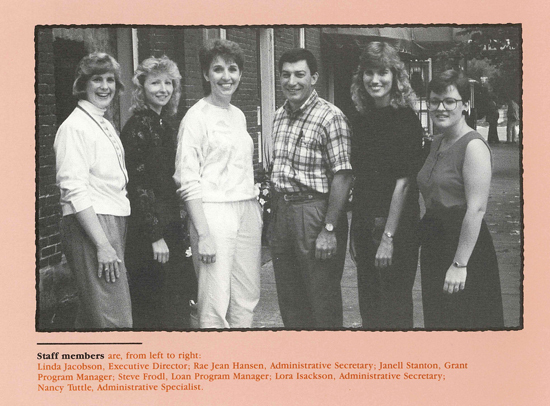 Rae Jean Hansen's first Annual Report appearance in 1991...the staff has grown a bit since then!